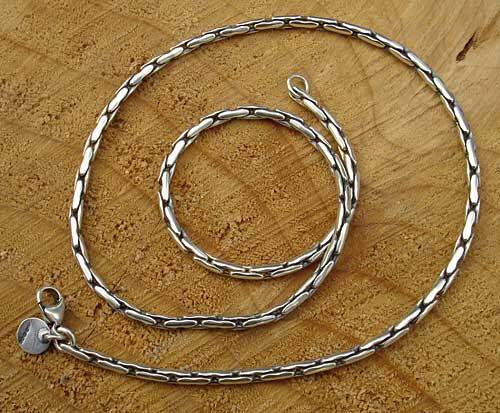 Silver Chain Necklace For Men : LOVE2HAVE UK! 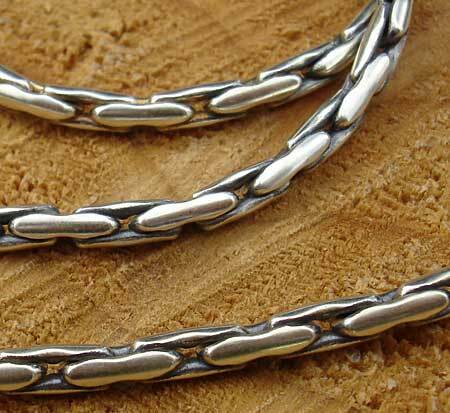 A 20-inch long designer silver chain necklace for men fashioned in solid sterling silver. From our Paloma range of men's jewellery, this designer chain is available as a single piece. Each link measures 3.2mm. The links come designed in such a style that gives this necklace its ultra-slick look. It makes a very unusual chain for men with authentic designer styling that we have not seen anywhere else. Other lengths are also available, so please contact us for further details.